The weather has been mixed this week (today included the most beautiful cloud formations along with sun), but Monday was spectacular. 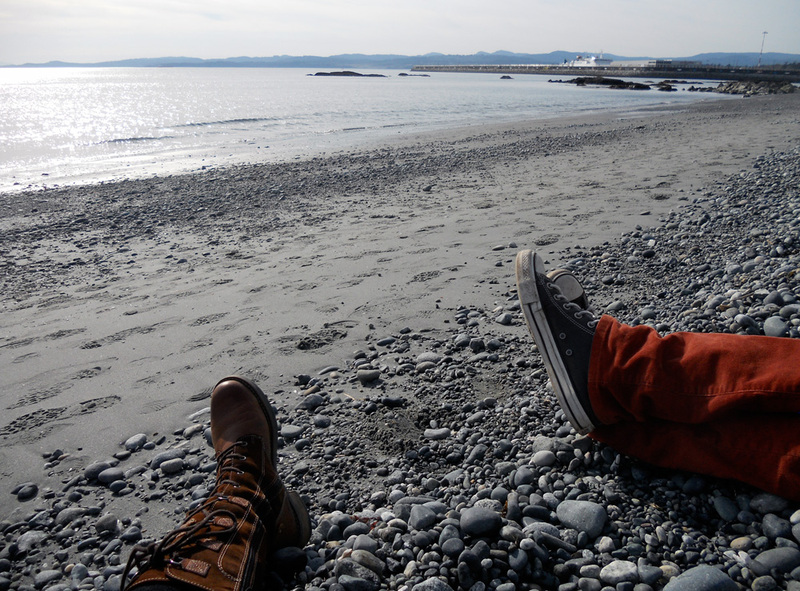 We walked our usual route and even enjoyed some time sitting on the pebbles at the beach. 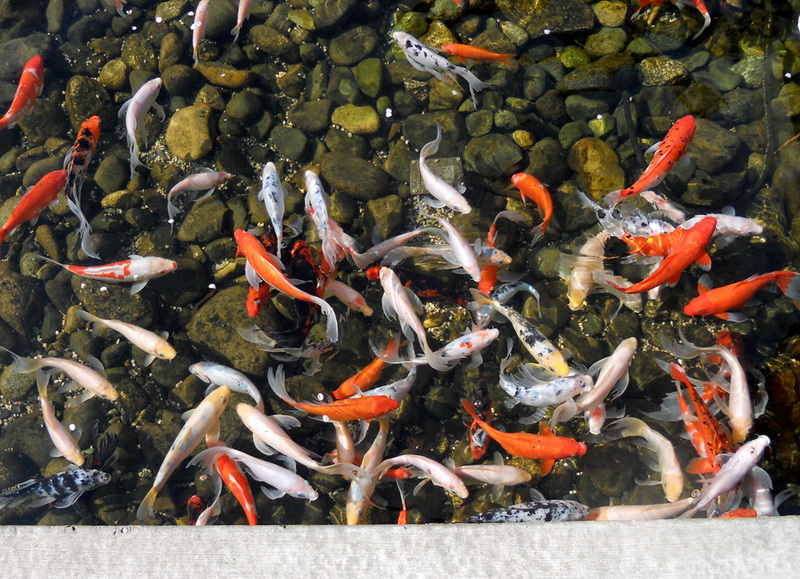 Koi in the pond at The Parkside; so pretty! 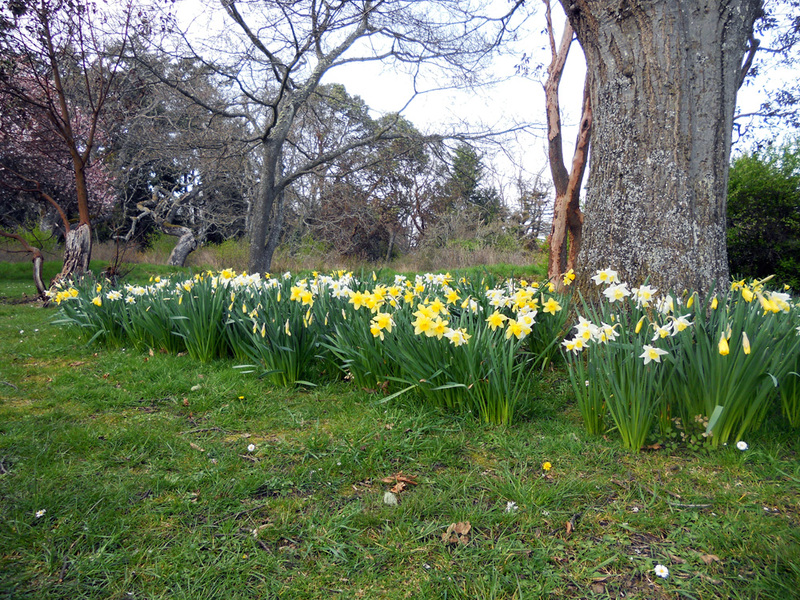 The daffodils are in full glory at Beacon Hill Park. 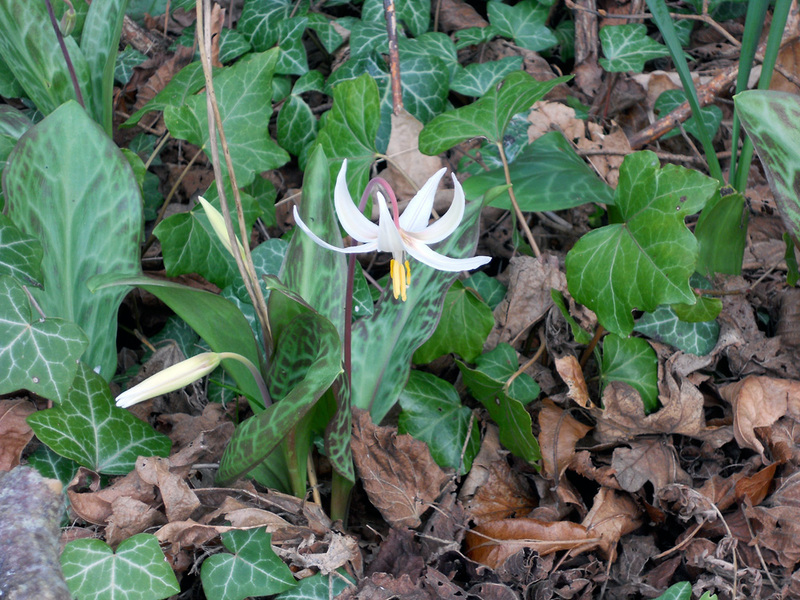 The fawn lilies are just beginning to bloom. So peaceful to watch the waves and enjoy the warm sunshine. All that spring ocean air made us hungry. 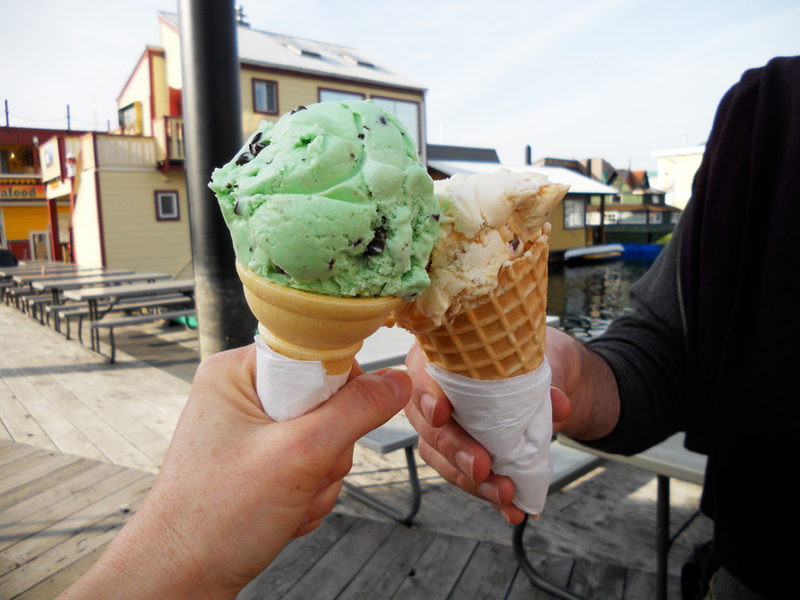 Jackson’s Ice Cream is already open at Fisherman’s Wharf!